At TechwareLabs, we often bring you reviews of the latest and greatest, top-of-the-line hardware. While this is certainly important, there’s a much larger segment of the market that often gets ignored: the budget gamer. Whether you’re a starving college student who is balancing the need to game against keeping your student loans in check, or just someone who wants to build a game-worthy system without dropping a ton of cash, there are wide range of video cards out there to meet your needs (and budget). 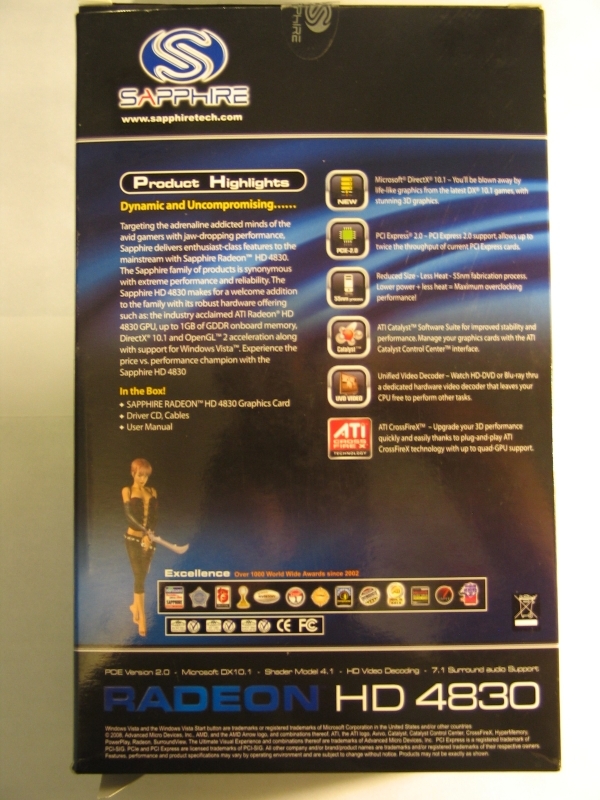 Today we’ll be looking at Sapphire’s latest offering in the budget-gamer category, the Radeon HD 4830. 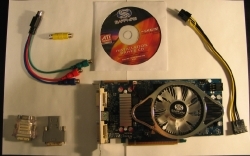 At $109.99 (directron.com), this card is competitively priced, but is it worth your hard-earned cash? Let’s find out! 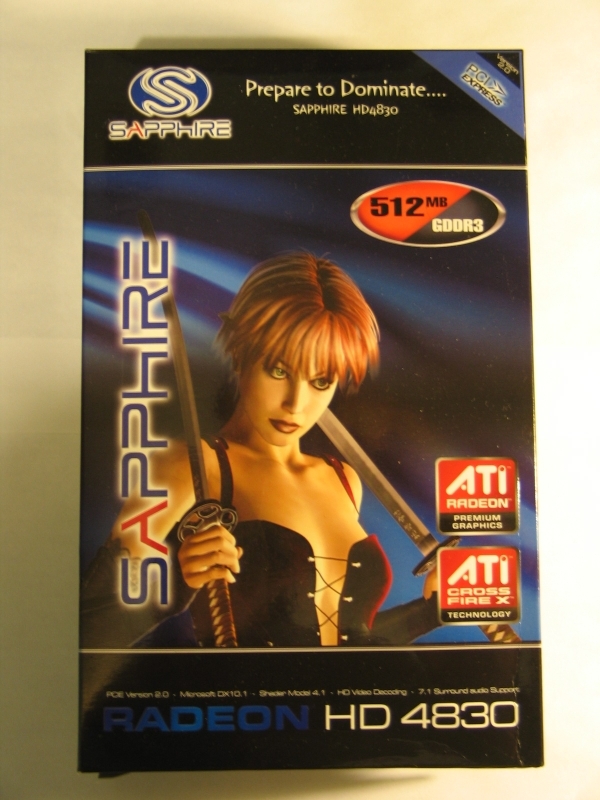 The packaging on the 4830 is tastefully done, with ATI’s Ruby Rom character featured front and center. On the back, a bit of ad copy accompanies a list of highlighted features, which we’ll go over later. 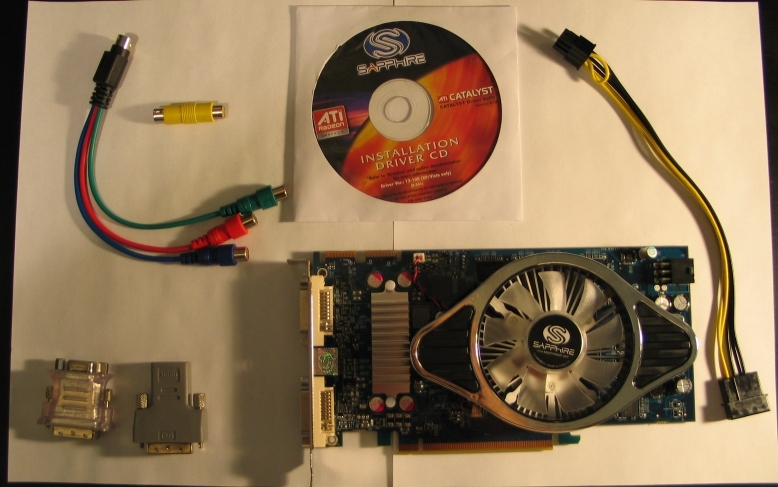 Inside, we find the card itself with all the necessary accessories: driver disc, Molex to PCI-e 6 pin power adapter, DVI->VGA adapter, DVI->HDMI adapter, S-Video->Composite adaptor, and S-Video->Component adapter. No games or extras were included with the driver software, but that’s hardly unusual for a card in this price bracket. Actually the 128bit memory interface can indeed compete with one using a 256bit interface depending upon many other factors like overall bandwidth, GPU power, memory type and amount. I find it hard to believe that a card with a 128bit memory interface can compete with one with 256bit. Actually, from what I can find, the 4770 ranges from $99-109, whereas the 4830 ranges from $74-109. The 4830 may not be in the same bracket now as when it was released, but it’s still got good bang for the buck. 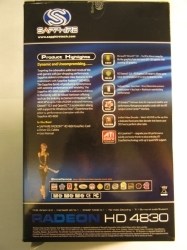 its difficult to see why you’ve recommended this card, when a 4770 will outperform this one in all benchmarks, and is 10 $ cheaper at the very least.